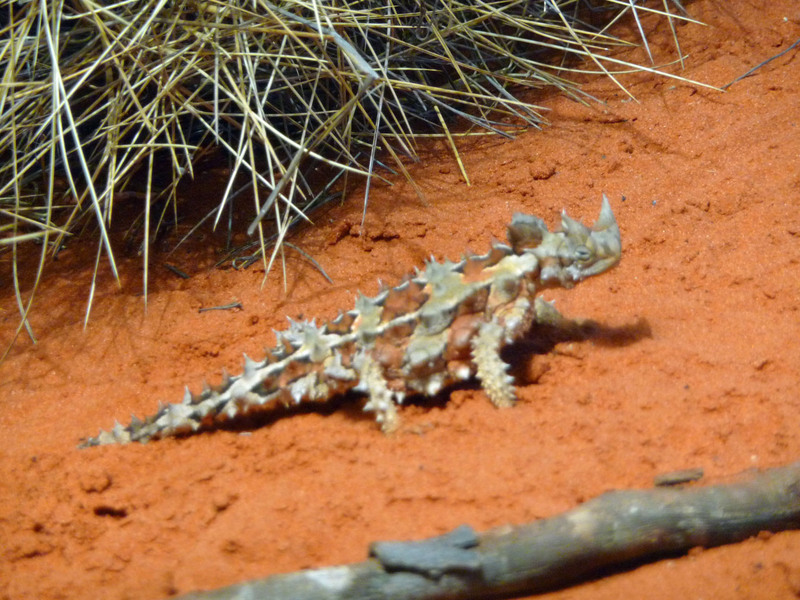 Finishing up our Red Centre tour, the group was deposited in Alice Springs. 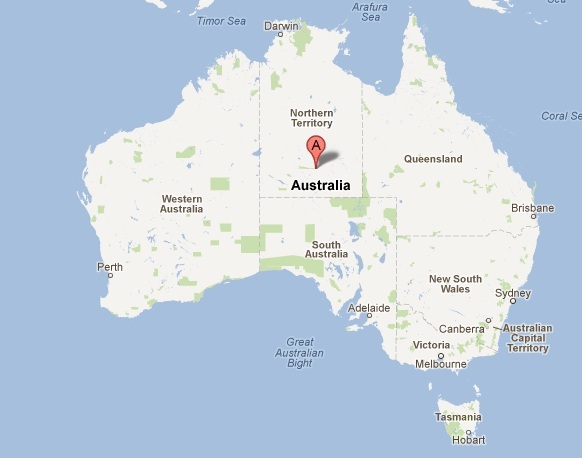 This is the primary town of the Outback in the centre of Australia – there is nothing else out here. I had several days here to relax and explore the city itself before continuing north. One of the best ways to explore a town? Climb to the top of it. In Alice Springs’ case that would mean Anzac Hill. From my hostel I first had to cross the Todd River, which splits part of the town. It has at times flooded portions of the city. This was not one of those times. 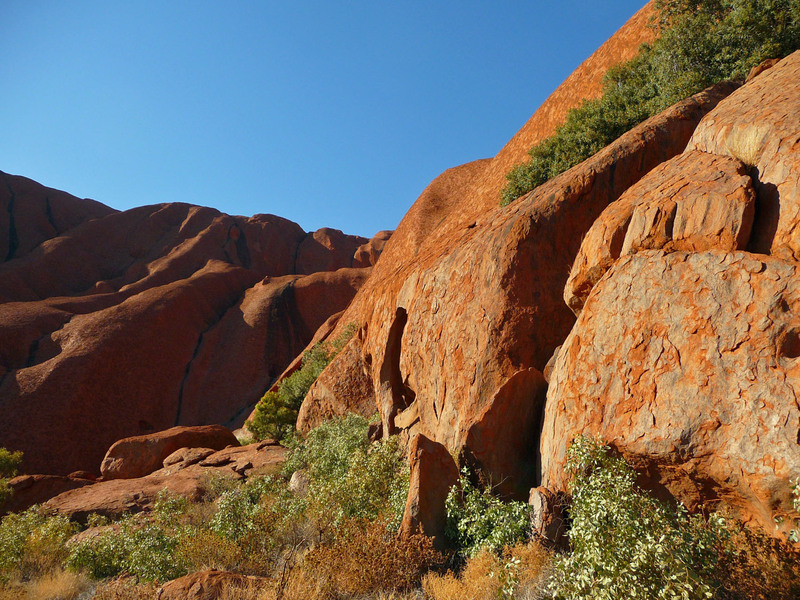 It is believed that the Uluru area has been inhabited for at least 10,000 years by two groups of Anagu people (differentiated by language), the Yankunytjatjara and Pitjantjatjara. The local Aboriginal people had to live in an incredibly harsh climate and thus adapted to having very little. Food and water were both incredibly scarce at times. Yet, Uluru was a central place for everything. Water springs, pools, wildlife and shelter all were accessible at the Red Rock, and thus it has become a focal point in Aboriginal culture of the area. 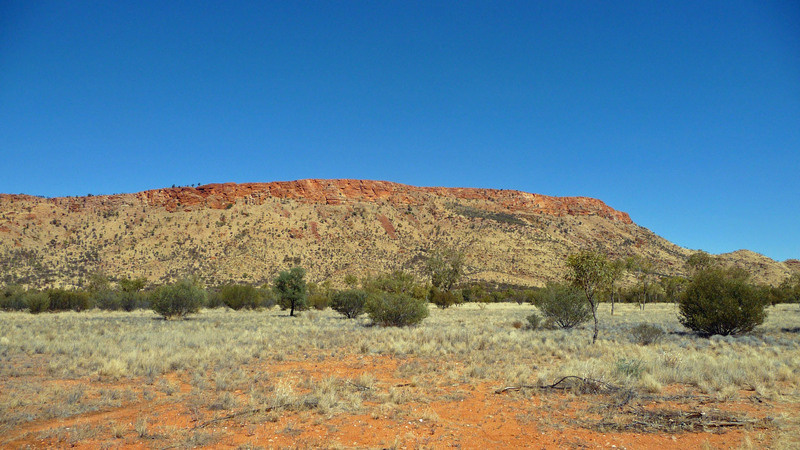 This side of Uluru contained more of the wave-formation areas. These were used by the Aboriginals for various different things, depending on the site. The Big Red Rock. Ayers Rock. Uluru. 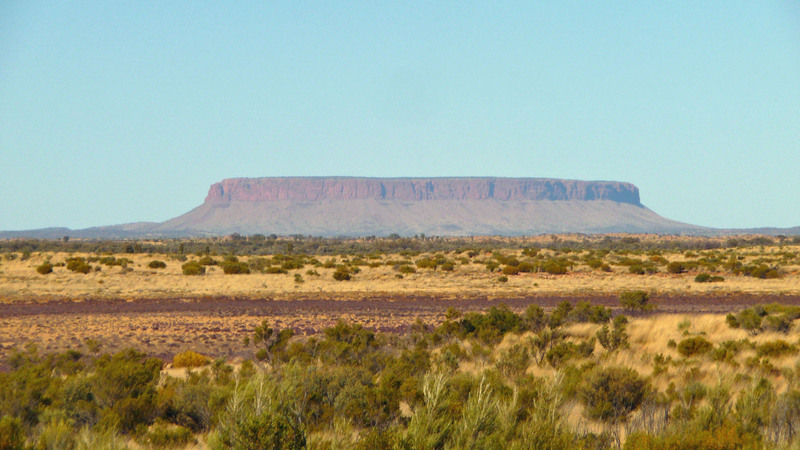 It goes by a few different names (Uluru now being the most accepted), but there is no mistaking Uluru when you see it. It is about as iconic a natural landform as there is. Rising directly out of a nearly flat ground to a height of around 330 meters, Uluru towers above you as you walk the 9.4 kilometer circumference. This thing is simply put, massive. 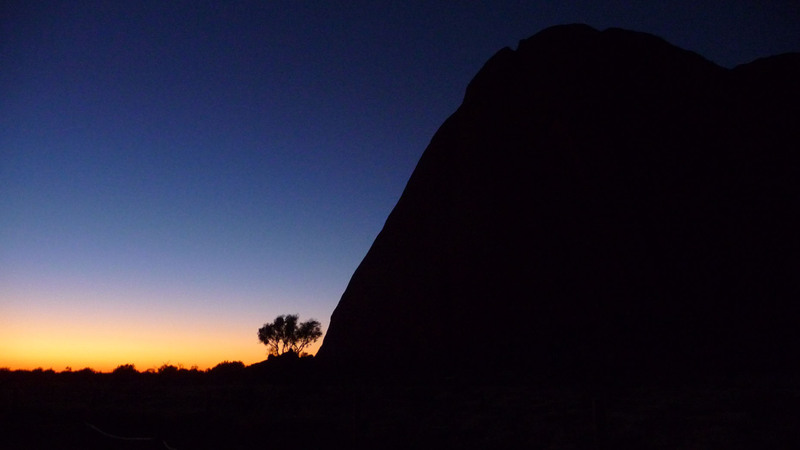 And it was on a dark and cool morning that I stood nearby, ready to begin a walk around the entirety of Uluru. Watching the sun set on Uluru is one of the most iconic scenes in the Outback of Australia. As the sun drops below the horizon, Uluru will go through different shades of colour before being lost from sight to darkness. After our day at Kata Tjuta, this was how we spent our evening, watching Uluru. Following on the heels of an enjoyable day at Kings Canyon, our tour got up bright and early to continue our drive into the Red Centre. Despite being in the same area, the drives between the 3 major highlights are still considerable – our drive from Kings Canyon to Kata Tjuta was still over 200km long. Again, an immense area.